Let’s face it. Being a trucker is hard. You know what they say in the trucking industry, “Trucking isn’t a career, it’s a lifestyle.” It can’t be more true. Being on the road away from friends and family for days, weeks, sometimes even months at a time, you are the ones who keep America going. Whether you’re working on your own as an owner operator, a company driver, or are the head of your own trucking company, we want to thank you for all that you do during National Truck Driver Appreciation Week! 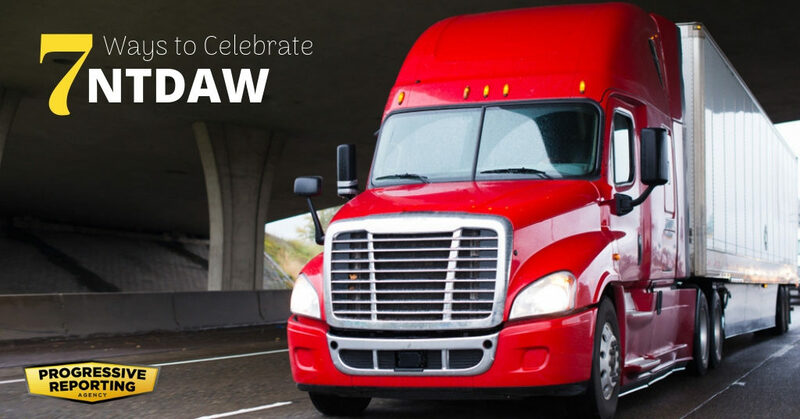 What Is National Truck Driver Appreciation Week? National Truck Driver Appreciation Week (NTDAW) is a week designed to celebrate the hard-working men and women who keep America moving. While the exact date varies every year, this year it’s September 9th – September 15th. During this week we want to express our appreciation to the amazing truck drivers that we personally know who work hard to haul goods and products all throughout America. No matter which part of the trucking industry you are in, there are a number of ways you can take part of Truck Driver Appreciation Week. Here are a few of our favorites. A personal thank you to any truckers you know can go a long way in celebration of NTDAW. Give your thanks in person, with a good old-fashioned card, or even shoot your trucker friend an email or text! You can also give a public shout-out with #thankatrucker on Twitter or Facebook to join the conversation online. Are you a trucker yourself? Choose this week to treat yourself to something nice. Buy that new gadget for your truck you’ve always had your eye on or go out to your favorite place to eat this week. Maybe choose to go a different route for a change of scenery! We recommend these roads. Go ahead and splurge a little. You’ve earned it! If you’re the owner of your own trucking company, host a giveaway for all of your employees! It can be as big or small as you’d like. 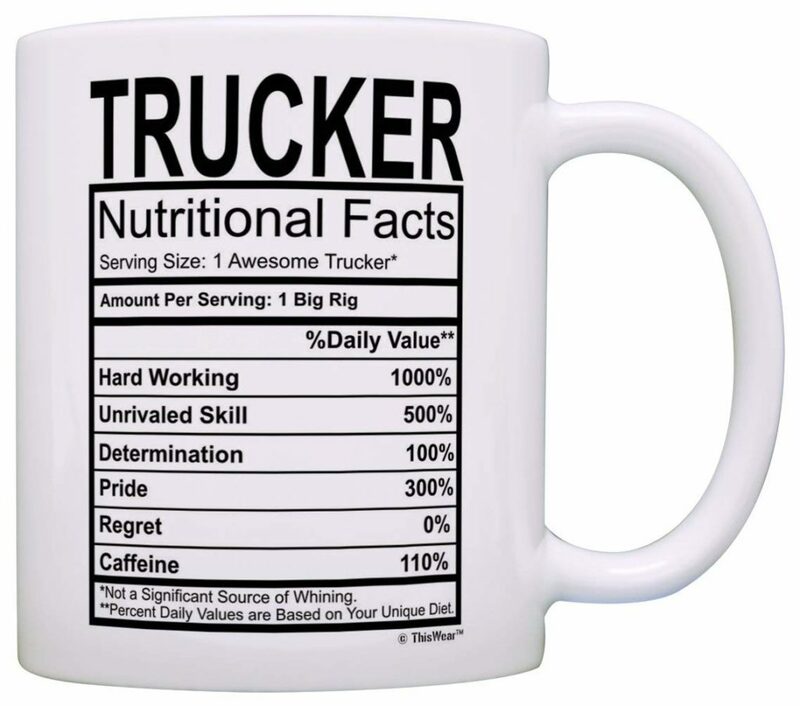 Choose something that your truck drivers will appreciate, like this mug or keep it simple with a gift card that leaves picking the prize to the winner. Truckers are away from home for days, sometimes even weeks at a time. Provide a date night or similar night out for drivers and their families. Host a game night with games and amazing prizes, or offer a gift basket for a date night to your employees that they can use at their leisure. A number of places host contests and events for the important truckers in your life. Submit your trucker’s story to Truckers News’s iLuvMyTrucker contest. Or, you can enter in other contests, like Pork Rind’s Pedal to the Kettle contest to earn an amazing cash prize! Nothing feels better than a sparkling clean truck. If you didn’t get the chance to do some spring cleaning, take this week to give your truck the attention it deserves. Get it washed, do some regular maintenance, and clean out your cab to make NTDAW feel extra special. Truckers work hard to keep America moving, and their hard work shouldn’t just be appreciated during one week or even one month. Find ways to thank your employees for all their hard work, all year round! We know how hard it is to be part of the trucking industry. That’s why we want to take the time to appreciate those truckers who work so hard at keeping themselves and the goods they haul safe. Want to thank a trucker this week? Share your story with us on Facebook!